JMIR Aging (JA, Founding Editor-in-chief: Jing Wang, Professor and Vice Dean for Research, Hugh Roy Cullen Professor, UT Health San Antonio School of Nursing, San Antonio, TX, USA) is a new sister journal of JMIR (the leading open-access journal in health informatics (Impact Factor 2017: 4.671), focusing on technologies, medical devices, apps, engineering, informatics applications and patient education for medicine and nursing, education, preventative interventions and clinical care / home care for elderly populations. In addition, aging-focused big data analytics using data from electronic health record systems, health insurance databases, federal reimbursement databases (e.g. U.S. Medicare and Medicaid), and other large databases are also welcome. As open access journal we are read by clinicians, nurses/allied health professionals, informal caregivers and patients alike and have (as all JMIR journals) a focus on readable and applied science reporting the design and evaluation of health innovations and emerging technologies. We publish original research, viewpoints, and reviews (both literature reviews and medical device/technology/app reviews). Background: Education at the time of diagnosis or at discharge after an index illness is a vital component of improving outcomes in congestive heart failure (CHF). About 90 million Americans have limited health literacy and have a readability level at or below a 5th-grade level, which could affect their understanding of education provided at the time of diagnosis or discharge from hospital. Objective: The aim of this paper was to assess the suitability and readability level of a mobile phone app, the CHF Info App. Methods: A descriptive design was used to assess the reading level and suitability of patient educational materials included in the CHF Info App. The suitability assessment of patient educational materials included in the CHF Info App was independently assessed by two of the authors using the 26-item Suitability Assessment of Materials (SAM) tool. The reading grade level for each of the 10 CHF educational modules included in the CHF Info App was assessed using the comprehensive online Text Readability Consensus Calculator based on the seven most-common readability formulas: the Flesch Reading Ease Formula, the Gunning Fog Index, the Flesch-Kincaid Grade Level Formula, the Coleman-Liau Index, the Simplified Measure of Gobbledygook Index, the Automated Readability Index, and the Linsear Write Formula. The reading level included the text-scale score, the ease-of-reading score, and the corresponding grade level. Results: The educational materials included in the CHF Info App ranged from a 5th-grade to an 8th-grade reading level, with a mean of a 6th-grade level, which is recommended by the American Medical Association. The SAM tool result demonstrated adequate-to-superior levels in all four components assessed, including content, appearance, visuals, and layout and design, with a total score of 77%, indicating superior suitability. Conclusions: The authors conclude that the CHF Info App will be suitable and meet the recommended health literacy level for American adult learners. Further testing of the CHF Info App in a longitudinal study is warranted to determine improvement in CHF knowledge. Background: Health information, patient education, and self-management (health information and advice, HIA) tools are increasingly being made available to adults with chronic health conditions through internet-based health and mobile health (mHealth) digital information technologies. However, there is limited information about patient preferences for using specific types of health information and advice resources and how preferences and usage differ by age group and education. Objective: The objective of this study was to examine how use of digital information technologies and preferred methods for obtaining health information and advice varies by age group and education among middle-aged and older adults with chronic health conditions. Methods: The study used cross-sectional survey data for 9005 Kaiser Permanente Northern California members aged 45 to 85 years who responded to a mailed and Web-based health survey conducted during 2014 and 2015 and indicated having at least 1 chronic health condition. Bivariate analyses and logistic regression models with weighted data were used to estimate and compare the prevalence of digital information technology use, past-year use of internet-based health information and advice resources, and preferences for using internet-based, mHealth, and traditional health information and advice modalities for adults aged 45 to 65 years, 66 to 75 years, and 76 to 85 years. Results: The percentages of adults who used digital information technologies (computers, smartphones, internet, email, and apps), had obtained health information and advice from an internet-based resource in the past year, and who were interested in using internet-based and mHealth modalities for obtaining health information and advice declined with age. Within age group, prevalence of digital information technologies use and interest in internet-based and mHealth modalities was lower among adults with no college education versus college graduates. Differences in preferences for internet-based health information and advice modalities between the oldest and younger groups and those with lower versus higher education were substantially diminished when we restricted analyses to internet users. Conclusions: Health care providers and organizations serving middle-aged and older adults with chronic health conditions should not assume that patients, especially those who are older and less educated, want to engage with internet-based and mHealth resources. In addition, increasing the engagement of nonutilizers of digital devices and the internet with internet-based health information and advice and mHealth apps might require both instrumental (eg, providing digital information technology devices, internet, and skills training) and social support. As part of patient-centered care, it is important for providers to ascertain their patients’ use of digital information technologies and preferences for obtaining health information and patient education rather than routinely referring them to internet-based resources. It is also important for health care providers and consumer health organizations to user test their Web-based resources to make sure they are easy for older and less educated adults to use and to make sure that it remains easy for adults with chronic conditions to obtain health information and patient education using offline resources. Background: Health care organizations are increasingly using electronic health (eHealth) platforms to provide and exchange health information and advice (HIA). There is limited information about how factors beyond internet access affect use of eHealth resources by middle-aged and older adults. Objective: We aimed to estimate prevalence of use of the internet, health plan patient portal, and Web-based HIA among middle-aged and older adults; investigate whether similar sociodemographic-related disparities in eHealth resource use are found among middle-aged and older adults; and examine how sociodemographic and internet access factors drive disparities in eHealth resource use among adults who use the internet. Methods: We analyzed cross-sectional survey data for 10,920 Northern California health plan members aged 45 to 85 years who responded to a mailed and Web-based health survey (2014-2015). We used bivariate and multivariable analyses with weighted data to estimate prevalence of and identify factors associated with internet use and self-reported past year use of the health plan’s patient portal and Web-based HIA resources by middle-aged adults (aged 45 to 65 years; n=5520), younger seniors (aged 65 to 75 years; n=3014), and older seniors (aged 76 to 85 years; n=2389). Results: Although approximately 96% of middle-aged adults, 92% of younger seniors, and 76% of older seniors use the internet to obtain information, about 4%, 9%, and 16%, respectively, require someone’s help to do so. The percentages who used the patient portal and Web-based HIA resources were similar for middle-aged adults and younger seniors but lower among older seniors (59.6%, 61.4%, and 45.0% and 47.9%, 48.4%, and 37.5%, respectively). Disparities in use of the internet, patient portal, and Web-based HIA across levels of education and between low and higher income were observed in all age groups, with wider disparities between low and high levels of education and income among seniors. Multivariable analyses showed that for all 3 age groups, educational attainment, ability to use the internet without help, and having 1 or more chronic condition were significant predictors of patient portal and Web-based HIA use after controlling for gender, race/ethnicity, and internet use. Conclusions: Internet use, and especially use without help, significantly declines with age, even within a middle-aged group. Educational attainment is significantly associated with internet use, ability to use the internet without help, and use of patient portal and Web-based HIA resources by middle-aged and older adults. Even among middle-aged and older adult internet users, higher educational attainment and ability to use the internet without help are positively associated with patient portal and Web-based HIA use. Organizations serving middle-aged and older adults should take into account target population characteristics when developing and evaluating uptake of eHealth resources and should consider offering instruction and support services to boost patient engagement. Background: Family caregivers of patients with Alzheimer disease and related dementias (AD and ADRD) often experience high stress and are at high risk for depression. Technologically delivered therapy is attractive for AD and ADRD caregivers because of the time demands associated with in-person participation. 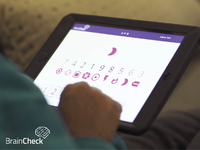 Objective: We aimed to study the feasibility and conduct limited efficacy testing of a mobile app intervention delivering mentalizing imagery therapy (MIT) for family caregivers. Methods: A 4-week trial of the MIT app for family AD and ADRD caregivers was conducted to assess the feasibility of use and investigate changes in depression symptoms, mood, and caregiving experience. Semistructured interviews were conducted to characterize participants’ perceived feasibility and benefits. Results: A total of 17 of the 21 (80%) consented participants (mean age 67 years, range 54-79) utilized the app at least once and were further analyzed. Average usage of audio recordings was on 14 (SD 10) days out of 28 possible and comprised 29 (SD 28) individual sessions. There were improvements in depression with a large effect size for those who used the app at least moderately (P=.008), increases in positive mood postintervention (P<.05), and acute increases in mood following daily guided imagery practice (Stretching and Breathing, P<.001; Eye in the Center, P<.001; Nesting Doll, P=.002; Situation Solver, P=.003; and Life Globe, P=.006). Semistructured interviews revealed perceived benefits such as greater ability to remain “centered” despite caregiving challenges and positive reframing of the caregiver experience. Conclusions: App delivery of MIT is feasible for family AD and ADRD caregivers, including aging seniors. Results showed moderate to high usage of the app for a majority of users. Limited efficacy testing provides justification for studying the MIT app for AD and ADRD caregivers to improve mood and reduce depression in larger, controlled trials. Background: Changes noted within the aging population are physical, cognitive, as well as emotional. Social isolation and loneliness are also serious problems that the aging population may encounter. As technology and apps become more accessible, many basic services, such as those offered by social services, well-being organizations, and health care institutions, have invested in the development of supportive devices, services, and Web-based interactions. 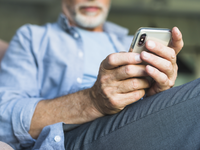 Despite the perceived benefits that these devices and services offer, many aging individuals choose not to engage, or engage in a limited manner. To explore this phenomenon, we developed a theory to describe the condition for engagement. Objective: The main objective of this study was to understand the perceptions of an aging South African population regarding Web-based services and technologies that could support aging in place (AiP). Although the concept of AiP speaks to a great number of everyday activities, this paper explores aspects of health and well-being as being central to AiP. Methods: The study used a grounded theory (GT) methodology, relying on an iterative and simultaneous process of data collection, coding, category development, and data comparisons. Data were collected through qualitative methods, including interviews (13 participants aged between 64 and 85 years), 2 participatory workshops (15 participants), and observations. The study focused on Charmaz’s approach to constructivist GT, which puts forward the premise that theory or knowledge cannot take shape in a purely objective manner. Instead, theory is constructed through the interaction of the researcher and research participant. Coding and data analysis were supported with ATLAS.ti (ATLAS.ti Scientific Software Development GmbH). Results: The study resulted in a substantive theory exploring the process of interaction and engaging factors through user insights and experiences. The emerging design theory, Ageing User Decision-Driven Engagement (AUDDE), explored the elements that support engagement with technology and supportive apps, which could offer access to required health and wellness services. Conclusions: In AUDDE, the perceived value of the interaction is a crucial catalyst for engagement. Aging users continuously make meaning of their experiences, which affects their current and future actions. Worldwide, there is an unprecedented and ongoing expansion of both the proportion of older adults in society and innovations in digital technology. This rapidly increasing number of older adults is placing unprecedented demands on health care systems, warranting the development of new solutions. 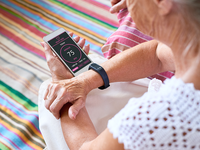 Although advancements in smart devices and wearables present novel methods for monitoring and improving the health of aging populations, older adults are currently the least likely age group to engage with such technologies. In this commentary, we critically examine the potential for technology-driven data collection and analysis mechanisms to improve our capacity to research, understand, and address the implications of an aging population. Alongside unprecedented opportunities to harness these technologies, there are equally unprecedented challenges. 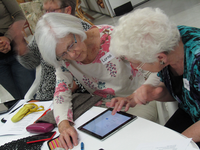 Notably, older adults may experience the first-level digital divide, that is, lack of access to technologies, and/or the second-level digital divide, that is, lack of use/skill, alongside issues with data input and analysis. To harness the benefits of these innovative approaches, we must first engage older adults in a meaningful manner and adjust the framework of smart devices to accommodate the unique physiological and psychological characteristics of the aging populace. Through an informed approach to the development of technologies with older adults, the field can leverage innovation to increase the quality and quantity of life for the expanding population of older adults. Background: Individuals with Alzheimer disease or related dementia represent a significant and growing segment of the older adult (aged 65 years and above) population. In addition to physical health concerns, including comorbid medical conditions, these individuals often exhibit behavioral and psychological symptoms of dementia (BPSD). The presence of BPSD in long-term care residential facilities can disrupt resident’s care and impact staff. 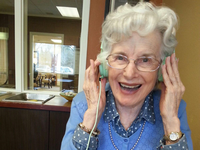 Nonpharmacological interventions such as personalized music and tablet engagement maintain cognitive function, improve quality of life (QOL), and mitigate BPSD for older adults with dementia. 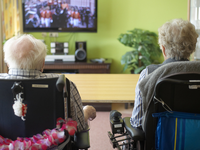 Evidence of the impact of such interventions in assisted living communities (ALCs) is needed for widespread adoption and sustainment of these technologies. Objective: The aim of this study was to assess the impact of Music & Memory’s personalized music and tablet engagement (PMATE) program on QOL, agitation, and medication use for residents living in 6 Wisconsin ALCs. Methods: The data collected were on the utilization of iPods and iPads by the residents. Residents’ outcomes were assessed using the Pittsburgh Agitation Scale, the Quality of Life in Late Stage Dementia scale, and self-reported medication use. A mixed-methods approach was utilized to examine the impact of the PMATE program on these outcomes. Descriptive statistics were calculated. A paired t test explored changes in residents’ QOL. A 1-way analysis of variance was utilized to examine changes in resident’s agitation and QOL based on the resident’s utilization of the PMATE program. Qualitative interviews were conducted with the individuals responsible for PMATE implementation in the ALC. Residents excluded from the analysis were those who passed away, were discharged, or refused to participate. Results: A total of 5 apps, based on average times used by residents, were identified. In all, 4 of the 5 apps were rated as being useful to promote residents’ engagement. PMATE utilization was not associated with changes in the residents’ agitation levels or antipsychotic medication use over time. Over a 3-month period, the change in residents’ QOL was significant (P=.047), and the differences across ALCs were also significant (F25=3.76, P=.02). High utilizers of the PMATE program (>2500 min over 3 months) showed greater improvements in QOL as compared with low utilizers (a change of −5.90 points vs an increase of 0.43 points). The difference was significant (P=.03). Similar significant findings were found between the high- and midutilizers. Conclusions: The study is one of the first to explore the impact of Music & Memory’s PMATE program on residents living in ALCs. Findings suggest that higher utilization over time improves residents’ QOL. However, a more comprehensive study with improved data collection efforts across multiple ALCs is needed to confirm these preliminary findings. Background: Prevention of functional decline demands a holistic perspective of health management. Older adults are becoming avid users of technology; however, technology is not yet largely used in supporting self-management of health in daily life. Previous research suggests that the low adherence to these technologies is likely to be associated with the fact that opinions and wishes of the older population are not always taken into consideration when designing new technology. Objective: The aim of this study was to investigate the attitudes of older adults living independently regarding technology to support healthy behaviors, addressing nutrition, physical and cognitive function, and well-being. Methods: In-depth semistructured interviews were performed with 12 older adults addressing 4 themes: (1) current practices in health management, (2) attitudes toward using technology to support health management, (3) wishes from technology, and (4) change in attitudes after actual use of technology. The fourth theme was investigated with a follow-up interview after participants had used a step counter, a smart scale, and a mobile app for 1 month. Data collected were analyzed using inductive thematic analysis. Results: Participants were active in self-managing their health and foresaw an added value on using technology to support them in adopting healthier behaviors in everyday life. Attitudes and wishes differed considerably per health domain, with cognitive function being the most sensitive topic. Fears from technology mentioned were attention theft, replacement of human touch, and disuse of existing abilities. Poststudy interviews suggest that attitudes toward technology improve after a short period of use. Conclusions: Technology to support aging in place must target health literacy, allow personalization in the design but also in the use of the technology, and tackle existing fears concerning technology. Further research should investigate the effect of these strategies on the adherence to technology to be used in daily life. We outline a set of recommendations of interest to those involved in developing and implementing technology to support aging in place, focusing on acceptance, barriers, and ethical concerns. Background: Physical activity has been shown to positively affect many aspects of life, and the positive relationship between physical activity levels and health is well established. Recently, research on the interrelationship between physical activity levels and subjective experiences has gained attention. However, the underlying mechanisms that link physical activity levels with subjective experiences of physical fitness have not been sufficiently explained. 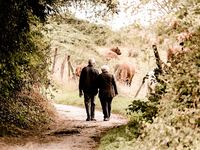 Objective: This study aimed to explore the role of physical activity tracking (PAT) in the relationship between physical activity levels and satisfaction with physical fitness in older adults. It is hypothesized that higher levels of physical activity are associated with a higher satisfaction with physical fitness in older adults and that this positive association is stronger for older people who use mobile devices for PAT. Methods: As part of this study, 1013 participants aged 50 years or older and living in Switzerland were interviewed via computer-assisted telephone interviews. Bivariate and multivariate analyses were applied. The interaction effects between physical activity levels and PAT were evaluated using multiple linear regression analysis. Results: Descriptive analyses showed that 719 participants used at least 1 mobile device and that 136 out of 719 mobile device users (18.9%) used mobile devices for PAT. In the multivariate regression analysis, frequent physical activity was found to have a positive effect on satisfaction with physical fitness (beta=.24, P<.001). A significant interaction effect between physical activity levels and PAT (beta=.30, P=.03) provides some first evidence that the positive effects of physical activity on satisfaction with physical fitness can be enhanced by PAT. Conclusions: The results indicate the potential of PAT to enhance the physical fitness of older adults. However, the results also raise new issues in this context. Recommendations for further research and practice include the acquisition of longitudinal data, a more detailed observation of durations of use, and the development of devices for PAT considering health psychology and gerontology theories. Background: According to the National Center for Health Statistics, there are over 1.7 million nursing home residents in the United States. Nursing home residents and their family members have unique needs and stand to benefit from using technology empowering them to be more informed and engaged health care consumers. Although there is growing evidence for benefits of patient-facing technologies like electronic patient portals on patient engagement in acute and outpatient settings, little is known about use of this technology in nursing homes. Objective: The purpose of this study was to report findings from a secondary analysis of data from a national nursing home study of information technology (IT) adoption, called IT sophistication. 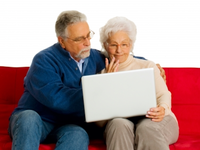 We describe the extent to which nursing homes (n=815) allow residents or their representatives to access technology including electronic health records, patient portals, and health information-exchange systems as well as the ability of the residents or representatives to self-report data directly into the electronic health record. Methods: We used descriptive statistics and regression techniques to explore relationships between information technology adoption (IT sophistication) and residents’ or their representatives’ access to technology. Covariates of location, bed size, and ownership were added to the model to understand their potential influence on the relationship between IT sophistication and resident access to technology. Results: Findings revealed that resident access to technology was a significant predictor of the nursing home IT sophistication (P<.001). The inclusion of covariates—nursing home location, bed size, and ownership—with their interactions produced a nonsignificant effect in the model. Residents’ or their representatives’ use of electronic health records and personal health records were both significant predictors of overall IT sophistication (P<.001). Conclusions: As nursing homes continue to progress in technological capabilities, it is important to understand how increasing IT sophistication can be leveraged to create opportunities to engage residents in their care. Understanding the impact of health information technology on outcomes and which technologies make a difference will help nursing home administrators make more informed decisions about adoption and implementation.